If it looks familiar, that's because it is. 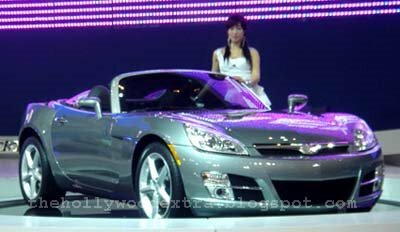 You are looking at the Daewoo version of our Saturn Sky/Opel GT. As far as I know, it is still built in the US alongside the other 2 models. Anybody else needs one? Holden, Buick? Australia is getting the Aurion. A slightly modified Camry. 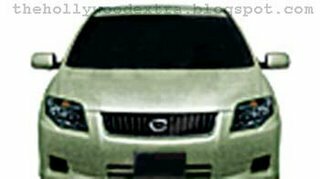 And now, China is getting this version of the Aurion. Called the Camry. As you can see, the subtle changes make it look a bit more upscale than our Camry. Who gets the best one??? Every stop at our local gas station should look like this. This is 2006 after all, isn't it? 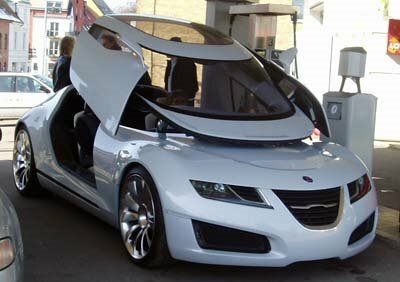 I'm not sure how anyone got to drive the Saab Aero X concept car in the street. 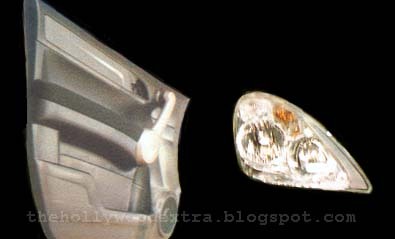 The Camry based coupe will be slightly revised for 2007. 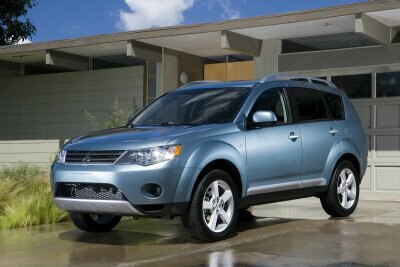 But is might not be redesigned when the regular cycle is over, the 2009 Model year. 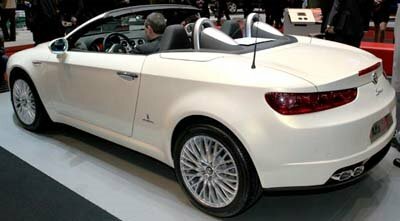 I just drove a Solara convertible a couple of weeks ago. And I thought it was a great car. Solid, quiet and a pleasure to drive. Toyota is trying to come up with a car that would "attract a different demographic" but still based on the Camry. My bet is on a new 2 door hardtop convertible with a new name. Here are some new details of the next CRV. The pictures of the exterior confirm the illustrations I posted here a few months ago. 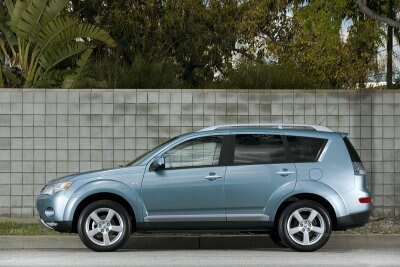 And they finally got rid of the outside spare tire, unlike the new US RAV4.. The only engine will be the familiar 2.4 Liter with maybe a boost to 170hp. And, as you can see, it has a proper hatch. I have more but cannot post it yet. 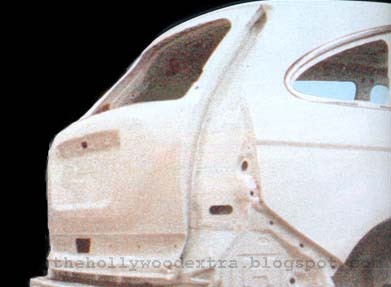 Still pretty covered, but you can already see one slick looking sedan. With a small chrome line surrounding the windows (still black on this one). Match this with the CBS pictures I posted last month of the front end, and you have what I think could be one of the best looking sedan around. 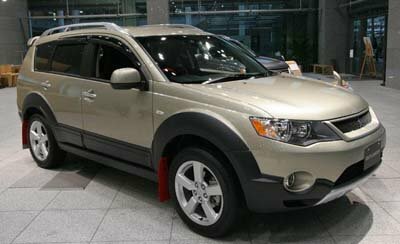 The new Outlander is now officially Japan's best selling SUV. A good thing for Mitsubishi. Many people had written them off the map. I remember when, back in the 80's, the Galand was praised as one of the best sedan you could get by most of the US press. 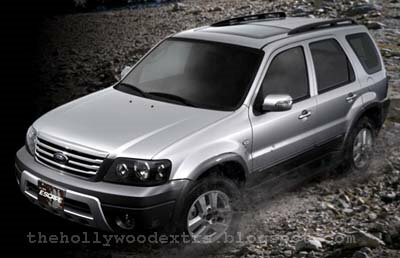 And, as you can see, there are already plenty of after market parts available for the Outlander. At least in its home market. 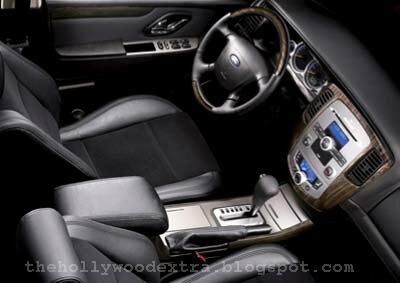 Is that an iDrive system I see in the new X5? I'll give you a hint: I don't know. It could be the next Corolla. 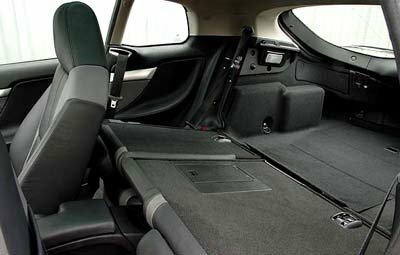 Or the next "larger and more upscale" Mazda 6. Anyone with inside info out there??? At least it's a fun way to spend a few minutes on the web, right? 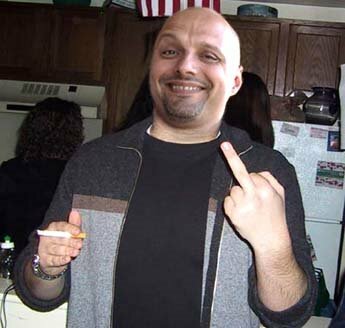 I usually do not post personal messages. But my roommate and I want to wish a Happy Birthday to Freddy Gorgeous. We met Mr.Gorgeous a while ago while looking for a new agent. He's tough on the outside, but actually a pretty nice guy. I never noticed this. The boring Audi Roadjet concept has a weird and unusual feature: an espresso machine between the rear seats! You in their right mind would allow people to make coffee in the car while you're driving??? Why not put a sink back there? That is a clean looking small SUV. I really like the 2 part hatch. Where the lower section opens flat. Makes it really easy to load stuff. 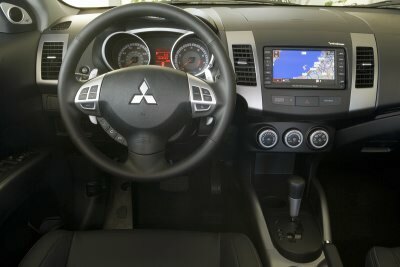 With features like Bluetooth, Navigation and Keyless entry, it is one convenient package. it might actually steal sales from the new and pricey RAV4. 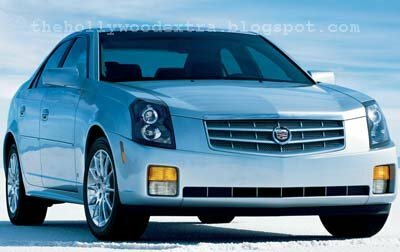 Here is an early picture of the CTS for 2007. As you can see, only the wheels and the grille are new. And that's pretty much it. 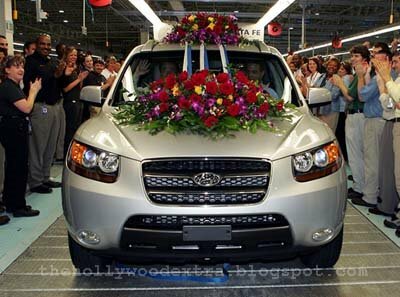 The big news are for 2008 with an all new car. Well... Not for us that is. This is the new Escape for Taiwan. The same country that gets the new Ranger. The interior isn't that new from the Escape/Tribute we get here, but it is still nicely updated and much more upscale looking. At least on these pictures. And the front end doesn't look as trucky as our 2007 Model. Is Ford paying more attention over in Taiwan than in the US? A few people are cool enough to be driving cars like these every day. Even more and better picture of the new Coupe. I didn't notice the side turn signal marker just in front of the wheel. A nice touch. 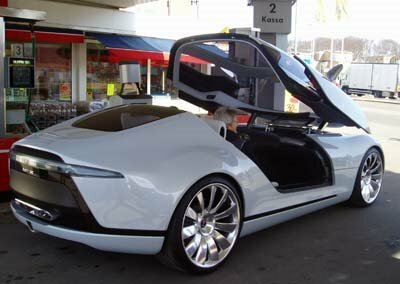 Even if it is similar to the Nissan Z.
I also noticed the lack of glass roof. Offered in various other BMW models. 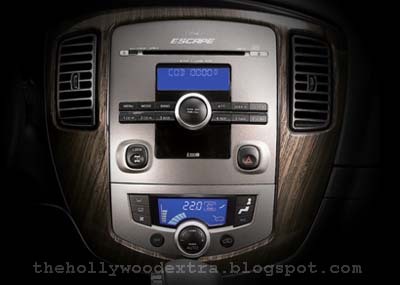 I had read about a navigation system in the new Altima but could get any pictures of it. The whole thing looks very nice. 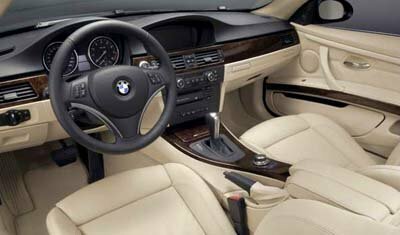 Some people have compared the interior to the Pontiac G6. Buick is in a pretty bad situation right now. First, I have to say it is a pretty nice looking car. 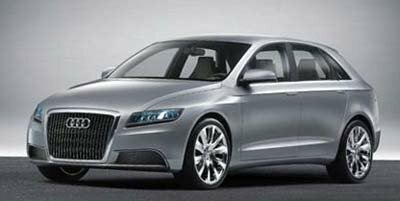 On pictures it seems a bit like the new Passat. But not so much in the flesh. It looks much longer. It actually looks a bit too long, almost out of proportions. The front still has a very traditional chromy grille. Something they might have to get rid of if they are serious about attracting a younger crowd. 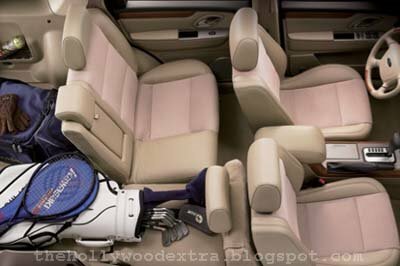 The rest of the car is very clean and tasteful. Again, a very classy and simple look. Almost too simple. 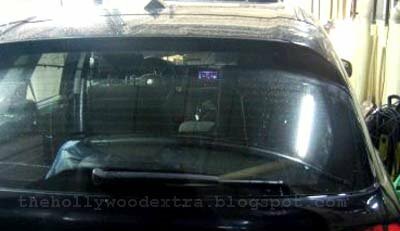 The center part of the dash almost looks empty. A bit too plain. Plastics are not all soft, but they are of very good quality. The seats are just OK. 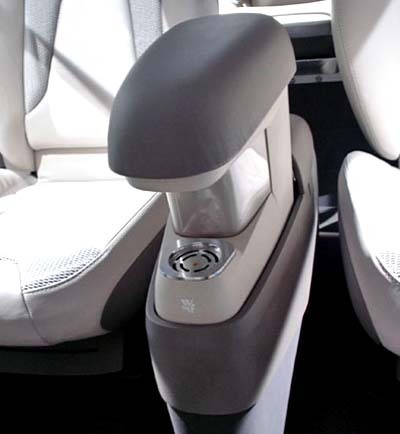 The lower back has no support at all, and the headrests are "way back there". But that might be another story with the optional leather. All the switches and dials feel great and smooth. One thing I noticed is the lightweight feel of the doors when you close them. They do feel thin and cheap. So does the trunk. 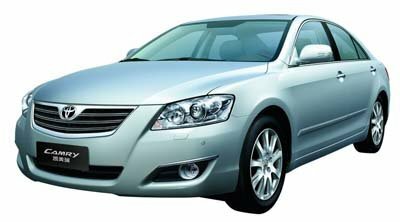 Unlike the Avalon or the Azera. Pretty surprising in such a large car. The iPod plug is a great feature. But where do you put the iPod? 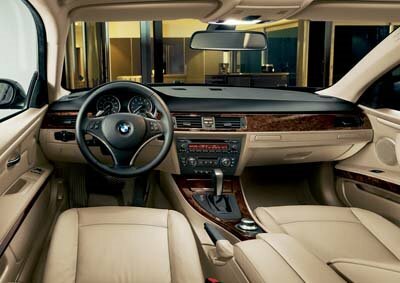 But the interior is generally a very nice place to be. 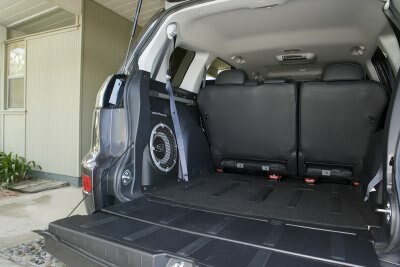 With a super roomy back seat, and also a huge flat trunk. On the road, the car is very, very quiet . The engine is fine most of the time. Although it is never as smooth as the Japanese competition. It also sounds really rough just when you start from a stop. I've noticed that before with the GM 3.8 Liter.. Seems like they can't, or don't want to, do anything about that. There is enough power, but that's about it. Nothing more. At least it's not too thirsty. 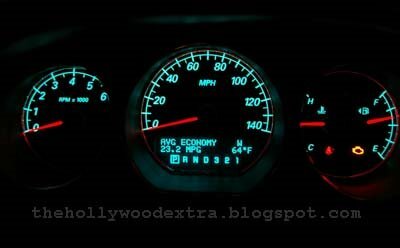 On my daily commute (about 30% freeway), I averaged 21MPG of regular. If you need more, get the V8. The brakes feel great. And so does the steering. Very light but precise and never loose. 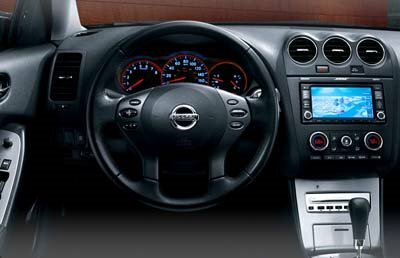 And unlike cars like the Maxima, it doesn't feel like you are playing a Nintendo game. The ride is very smooth without ever being too soft. I really enjoyed driving this Buick for a few days. Well, until you check out the competition Mainly the Toyota Avalon and the Hyundai Azera. Both cars have more power and a more refined engine. And the Azera feels does feel like a more expensive car. That is GM"s main problem. Their cars are fine until you check out the competition. It seems that they live in their own bubble and don't get out into the real world. 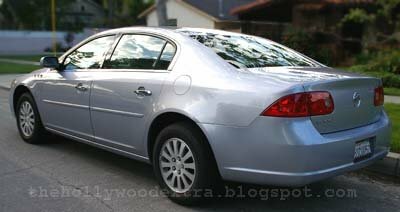 My "base" car was around $26 000. Maybe quite a bit less with rebates. For that price you don't get a remote or full power seat. It's not that cheap. 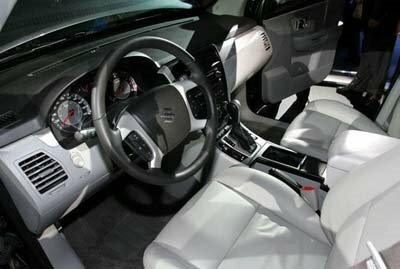 The Avalon starts at $27 300 ($25 000 on carsdirect). 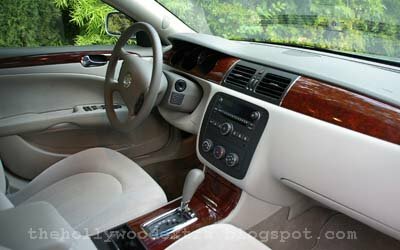 Both cars have much more standard features than the Buick, and a much better engine. They also feel more expensive. 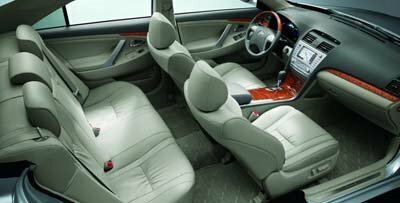 The Azera has one of the best made interiors out there. If you get a V8 Lucerne and add options, then you fall into Lexus territory. 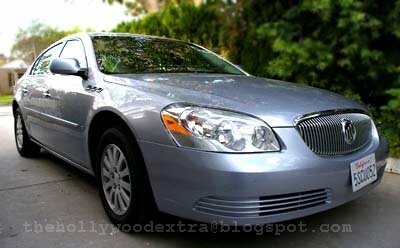 The Buick Lucerne is still a good choice for those looking to get a comfortable full size car. It is good looking and very quiet. With a very comfortable ride. But so is the competition. I cannot really imagine anyone, with an open mind, choosing the Buick over the Toyota or the Hyundai. Just more, and better, pictures of the new BMW Coupe. it does look very nice and classy. 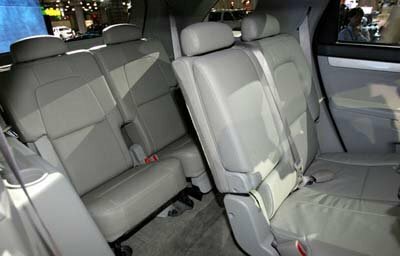 And look at the back seat! Who can fit back there? Why even bother with the whole thing at all. Most people don't even know about Suzuki. 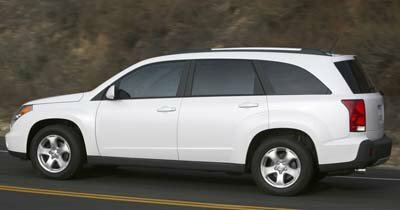 Is a stretched Vue/Equinox the answer to put the brand on the map??? 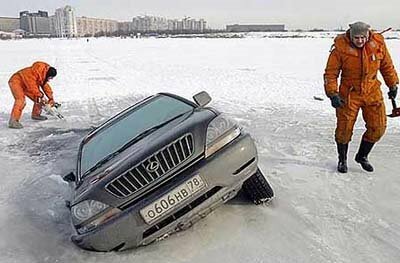 But again, who would drive an RX on a frozen lake? Los of chrome on the new Escape. But it might actually look better in person. 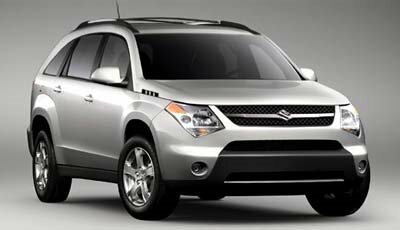 I always kind of liked the Escape. 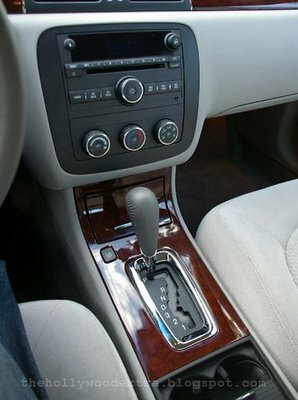 Except for some cheap looking, and feeling, interior parts. If they address these problems it could be pretty nice. 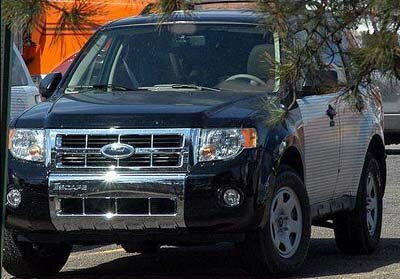 I know it's not really "all new", it seems that none of the Ford SUVs are ever all new anyway. 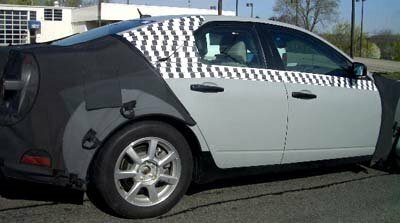 With gas prices passing the $3 a gallon mark, the Hybrid should be even more popular if they decide to boost production. 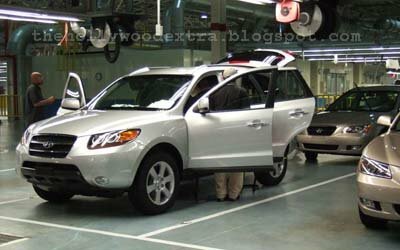 Huyndai just sarted production of the all ew 2007 Santa Fe in its US factory. Here are pictures of the 1st "saleable model" as they call it. 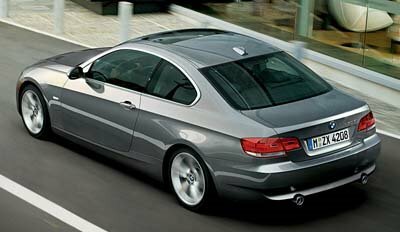 It seems that quite a few people (at least on this site) are a bit disappointed with the new BMW 3 series coupe design. 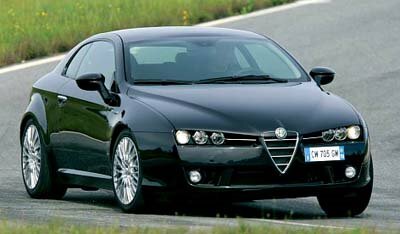 The new Alfa Romeo Brera Coupe and Spider Convertible are in the same price range as the new BMW Coupes. And they both look amazing. 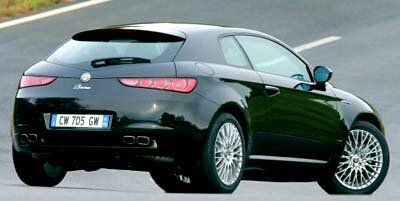 Would anyone here consider an Alfa in the US over a 3 series??? ?